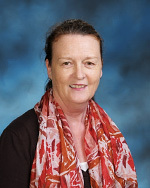 Mary Batterham is the Vice-Principal of Discovery Montessori School (DMS) in Central. Her extensive education background includes a Bachelor of Nursing, Bachelor of Teaching (0-5 years), Post-Graduate Diploma of Education AMI (3-6 years), and a Master of Education (Special Ed). She has been teaching for over 25 years and joined DMS in 2012. Mary Batterham from Discovery Montessori School discusses how parents can help children ease into the new school year. Starting school marks a major change in a child’s life. Some children adjust more easily than others. An eager, alert, independent child comes into the classroom and immediately begins taking advantage of the learning environment that has been meticulously prepared to assist them meet their full potential. However, children who are more dependent on adults will need time to adjust and become independent. A child who has been the centre of attention at home now finds themselves as part of a larger group (for perhaps, the first time), and may need time to discover their own ability and satisfaction that comes from individual accomplishments.